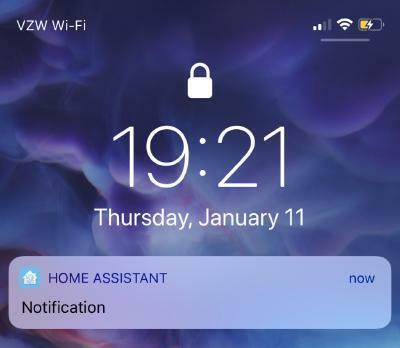 In this post I will cover how I use actionable notifications within Home Assistant. 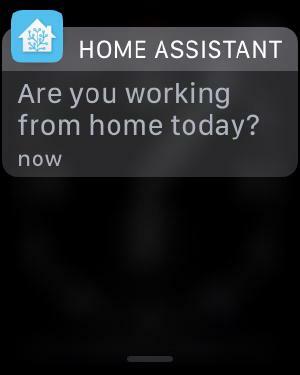 Using push notifications with the Home Assistant iOS App you can setup some really cool triggers within the system. 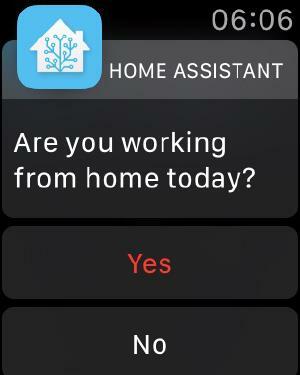 At 6AM I receive a push notification that asks if I am working from home today. If I answer Yes, it will turn on the AC in my office and set the proper temperature based on the temperature outside. On days when my wife and I go into our “real” offices we will receive a notification when we leave in the evening and the house is set to away. This notification asks if you are headed home. If Yes is selected, it will set the air conditioner to the home setting to cool/heat the house in advance. We will use my “Are you working from home today?” notification as the example1. 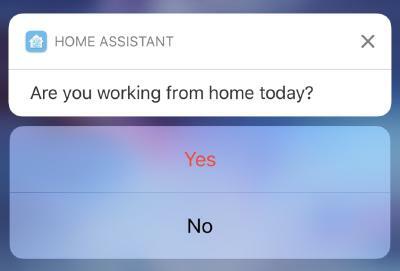 message: "Are you working from home today?" Now we need to configure the iOS push category that corresponds with the category used in the automation. NOTE: The identifier must be lower-case! In this case the No option does nothing. 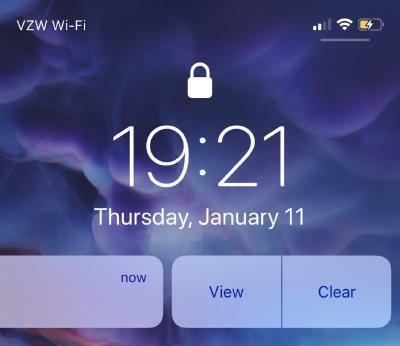 The notification will close on the phone and that is all. 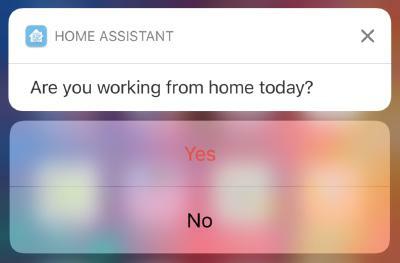 But, ‘Yes’ will trigger an automation in Home Assistant. Under the trigger event_data you will see that the actionName corresponds to the identifier used in Step Two. When Yes was selected it kicked off the automation to turn on the AC in my office and set the mode based on the outside temperature. It has worked great! Each time you create or update an iOS push notification within home assistant you must update oush settings within the iOS app. To do this go into the settings (gear icon) within the iOS app and navigate to Notification Settings > Update push notifications. When you receive a notification on you iPhone, do not just tap on it! This will open the Home Assistant app and not present your options! This is covered often in the Home Assistant Community and I just wanted to get my configuration out in hopes that others will find it useful. If you have any questions feel free to leave a comment. I compared my setup with yours. I still do not get the action button (I only have 1). Notification works, but when I select “view” I get the message without the button. First, I want to thank you for your comment because it uncovered an issue with my static comment system. Glad to have that fixed now! Second, would you mind sharing your code so we can troubleshoot? Or, do you have your HA config in GitHub where I can check it out? According to the documentation, the identifier must be lower-case. I was able to get the following working properly on my HA (version 0.64). Hope this helps! If you run into any other issues let me know. I will be sure to add a note to this post about the identifier lower-case requirement. Thanks for helping point that out. Should have read the documentation shouldn’t I? This is a test to see if staticman is working. Thanks for your hard work.